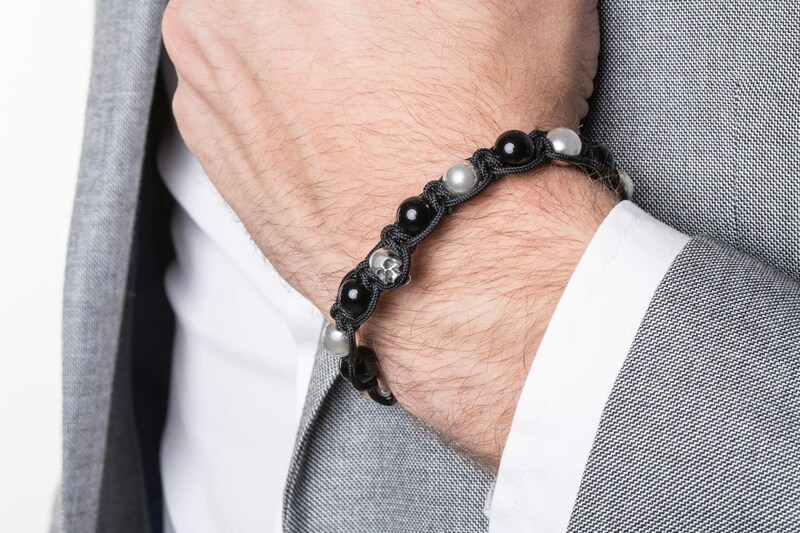 Bracelet composed of solid sterling silver scull & beads, natural black SMOOTH onyx gemstones (8mm). Set on a nylon link, very resistant, and finished with small solid sterling silver sculls. 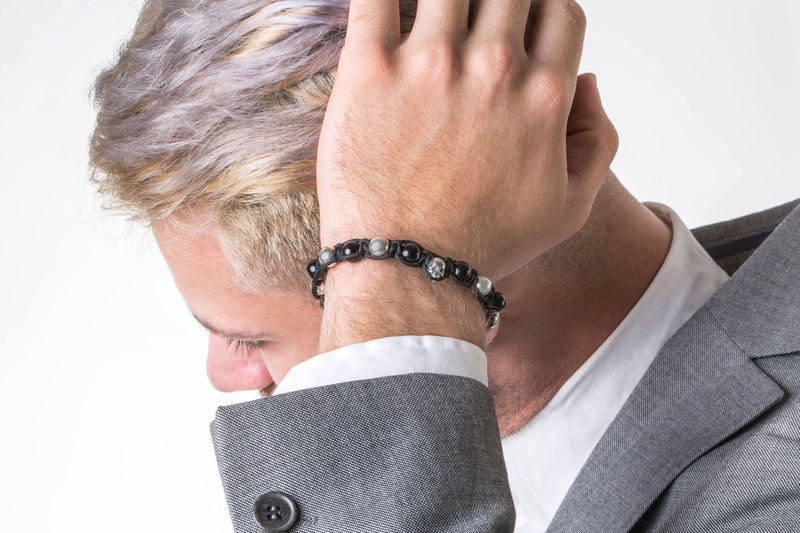 Perfect combination of black and silver reinforces the lux aesthetic of this bracelet by utilizing black polished onyx stones and sterling silver skull 925 and beads. Black Onyx absorbs and transforms negative energy, and helps to prevent the drain of personal energy, aids the development of emotional and physical strength and stamina, especially when support is needed during times of stress, confusion or grief. Black Onyx fosters wise decision-making. Bracelet is adjustable in length thanks to its sliding knots. Also suitable for teens.